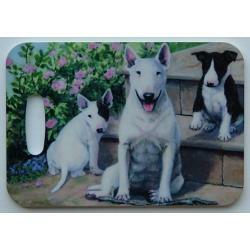 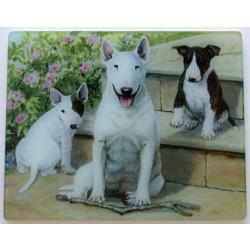 The Bull terrier is a playful, fun loving canine that become very attached to their families. 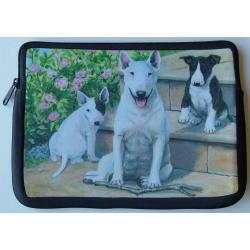 Although their looks may appear intimidating they are known to be a very friendly dog. 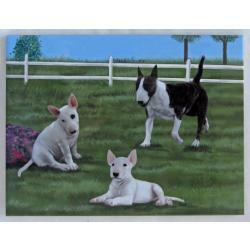 The AKC first recognized the Bull terrier in 1885 and is classified in the Terrier group. 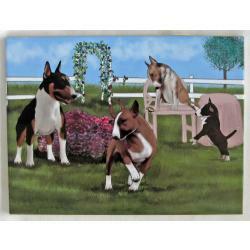 Gone Doggin Bull terrier art describes the history and accurately depicts the breed as described by the dog breed standards. 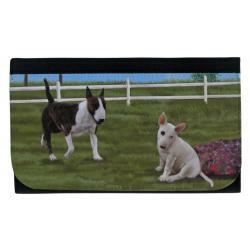 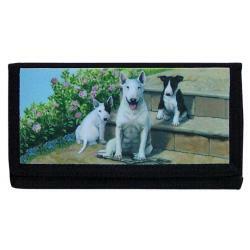 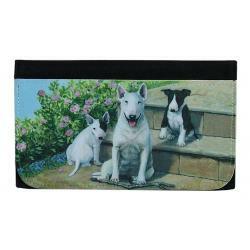 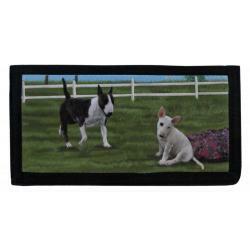 This makes our Bull terrier gifts and merchandise highly collectible and truly unique dog gifts for dog lovers.